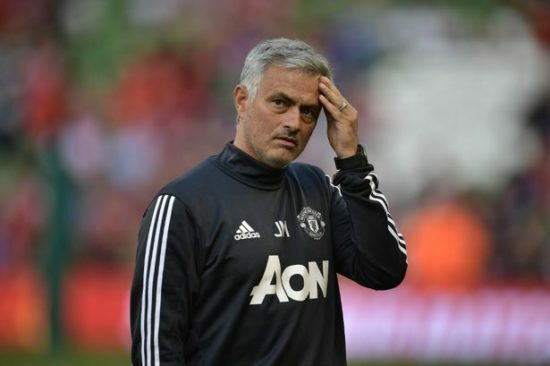 Jose Mourinho has stated that there are no new signings expected at Manchester United this transfer window, putting an end to speculation linking Ivorian midfielder, Jean-Michel Seri to Old Trafford. Reports in the media had suggested that United would activate the release clause of the 26-year-old midfield player who currently plies his trade in the French Ligue 1 with Nice. The signing of Alexis Sanchez stunned the football world, and now Jose Mourinho says that any player that would arrive at the Theatre of Dreams would only come in the summer. Axel Tuanzebe has joined Aston Villa on loan, while Henrikh Mkhitaryan has left for Arsenal as part of the Sanchez deal. With Manchester United captain, Michael Carrick retiring at the end of the season and the future of Marouane Fellaini still up for debate, United had been linked to a number of signings such as Julian Weigl, Seri and Carlos Soler, but with this latest admission by Jose, transfer business is done for this month. It would appear that the manager is pleased with the arrival of Sanchez despite him lashing out at the United hierarchy for not backing him enough as compared to Manchester City. The 54-year-old has also just put pen to paper on a new deal at the club that shows he is quite settled at the club and looking at finally establishing a dynasty at a club, that has been missing from his career so far.